The Nintendo DSi release is right around the corner, and though some press shots and videos are out there, what does it really look like up close? In short, it looks nice. 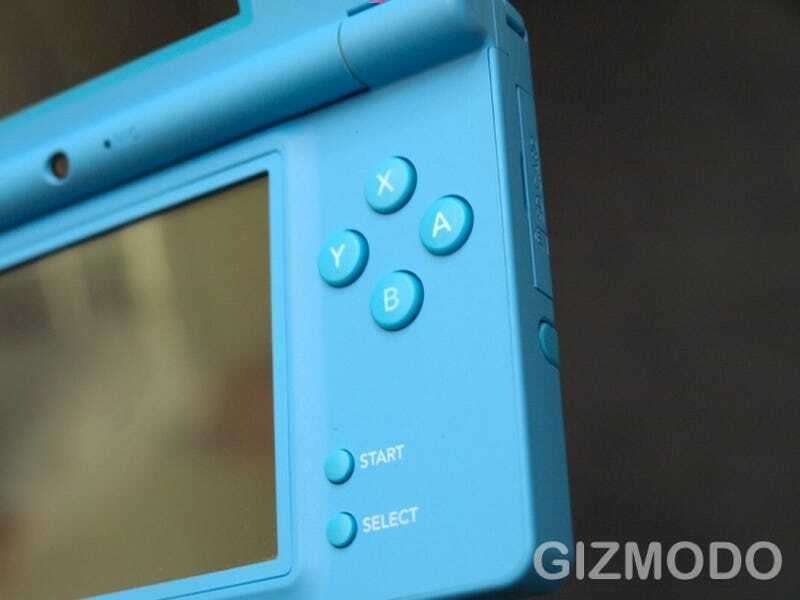 The DSi hardware itself is no longer glossy or plasticky. Instead, its matte finish gives it a feel that is ever-so-slightly rubbery, which sits nice in the hand. The thinner physique and bigger screens of the DSi are noticeable, but not necessarily drastic. And of course the inclusion of the non-proprietary SD card slot is welcome, if a bit foreign at first. I ran through about 30 minutes of various DSi audio and camera demos (no web browser demo, hrm), and from what I saw, I'm intrigued. While the camera and audio apps are essentially tech demos that, in my opinion, won't get much play from users after about a month, they show off what these new hardware features are capable of. With the audio suite of apps you can take an mp3 AAC file (or create your own recording), and manipulate both speed and/or pitch using a two-axis coordinate system on the touchscreen. Voice warping seems relatively intuitive, and just briefly listening using the DSi speakers, it didn't sound half bad either. There's even a neat feature where there are various Nintendo-themed visualizers and you can use the L/R bumpers to add your own sound effects on top of songs. The camera software was also fun to play with, as there are effects that let you warp and distort images on the fly, add graphics on top or use the emoter—and automatically contort faces into specific expressions (my favorite). The use of the L/R bumpers as the shutter also gives the feature a nice feel. Essentially, the Game Boy Camera has been reborn. Nintendo demoed Warioware Snapped, which makes considerable use of the camera (something available to all developers), and shows how creative software could make the DSi more than just a light hardware refresh. With Warioware, you set the DSi on the table, and let the front side camera detect your face and hand. After that, your silhouette appears on screen while you're directed to move your head and hands in various manners. And it didn't seem at all like it was a gimmicky feature making use of inadequate hardware.